Last year we brought you a list of Clean, Vegan Protein Powders That Prove Protein is Way Better Without Whey. This year, we’re bringing you an updated list with 15 more plant-based protein powders! Protein is the inevitable topic that comes up whenever eating vegetarian or vegan is brought up. It’s actually incredibly easy to get protein on a vegan diet. It’s also very easy to find a plant-based protein powder to replace whey or other animal ingredient based protein. If you feel that protein powders help you achieve your fitness goals, we’ve got you covered! 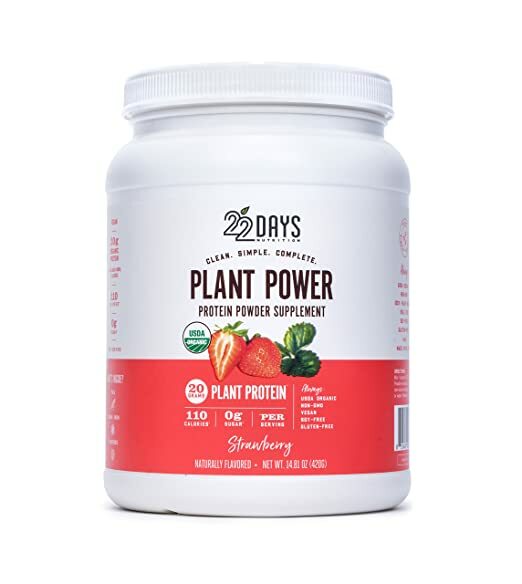 Here are 15 plant-based protein powders available on Amazon. 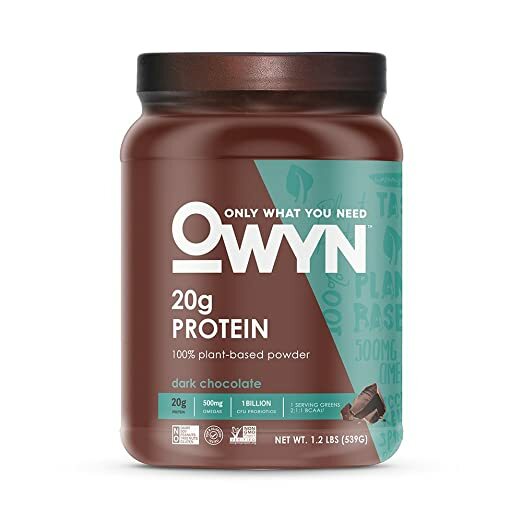 OWYN stands for “only what you need” and their Plant-Based Protein Powder contains “9 essential amino acids and naturally occurring BCAAs (Branched Chain Amino Acids) to enhance muscle recovery and promote optimal daily health.” It’s available in dark chocolate and vanilla. The price for 1.17 pounds is $22.53. 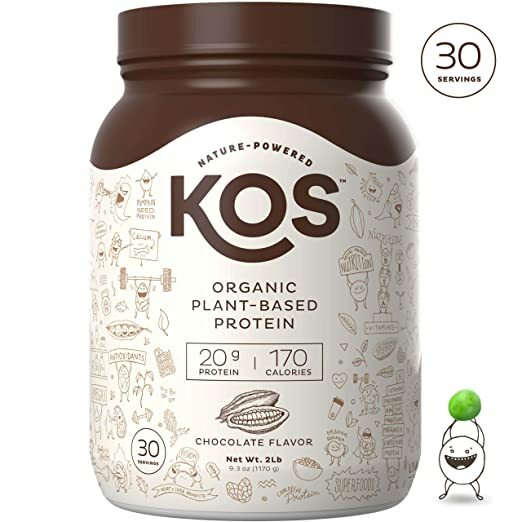 The KOS Organic Plant-Based 5-protein blend consists of non-GMO pea, flax seed, quinoa, pumpkin seed, and chia seed. It is available in both chocolate and vanilla. The price is for 30 servings is $39.88. 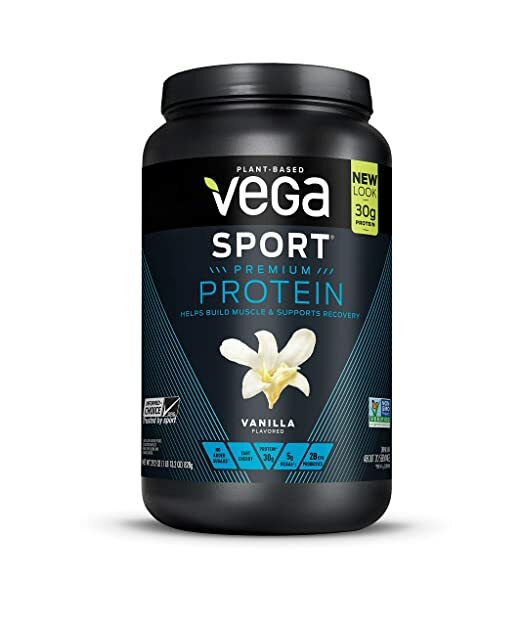 Vega Sport Premium Protein is made from pea protein, organic pumpkin seed protein, organic sunflower seed, and alfalfa. It is available in berry, mocha, vanilla, and chocolate flavors. The price for one pound is $37.39. 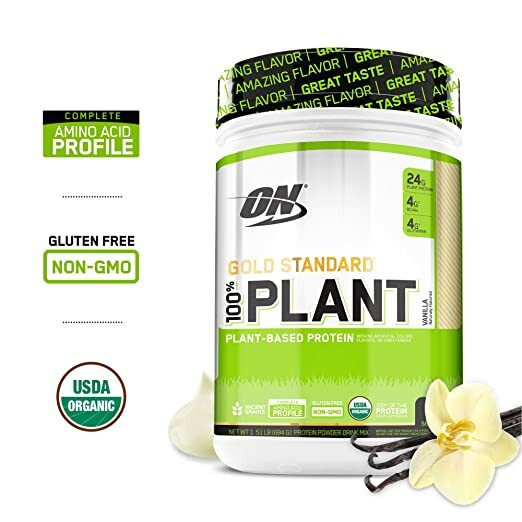 One serving of Optimum Nutrition Gold Standard has “24 grams of complete, organic, plant-based protein sourced from a blend of Organic Pea, Organic Rice, and Organic Sacha Inchi proteins.” It is available in berry and vanilla at $28.49 for 19 servings. 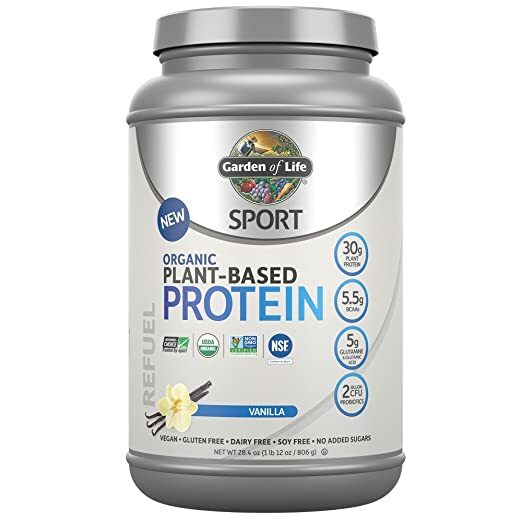 Garden of Life Sport Organic Plant-Based Protein is certified USDA organic, non-GMO verified, gluten free, dairy free, and soy free. It is available in chocolate and vanilla. The price for a tub of one pound and 12 ounces is $32.70. 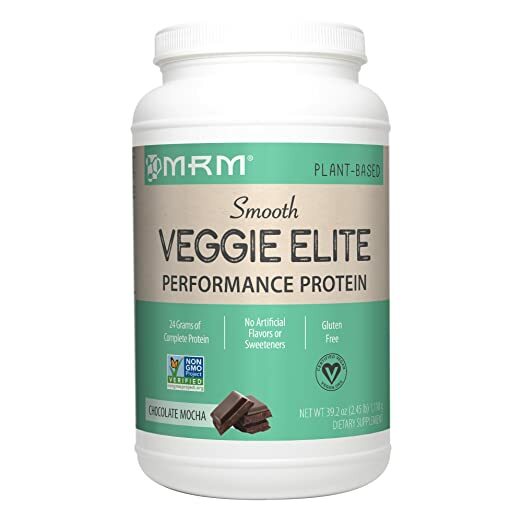 MRM Veggie Elite Performance Protein is made from raw pea & raw brown rice proteins. The price for 2.4 pounds is $22.94. 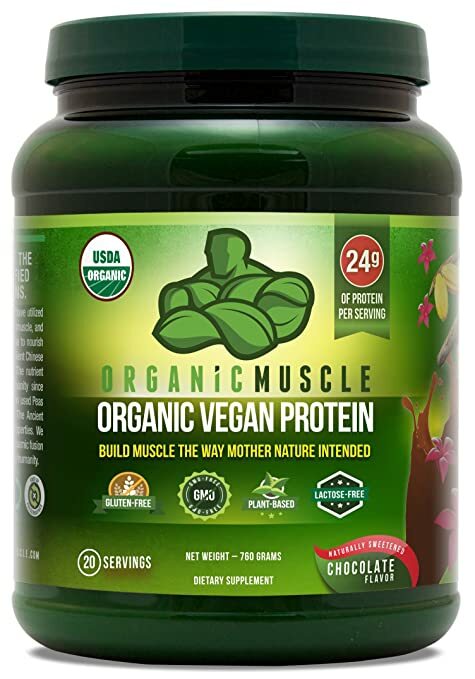 Organic Muscle Vegan Protein Powder is non-GMO, vegan, gluten free, dairy free, hormone free, and preservative free. It is available in chocolate and vanilla. The price for 20 servings is $39.97. 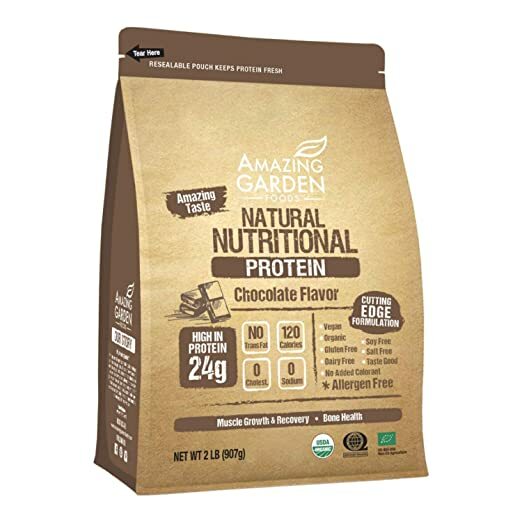 Amazing Garden Foods Vegan Protein Powder is made of “9 different 100% organic plant-based protein from pea protein, adzuki bean protein, lentil protein, hemp protein, mung bean protein, chia seeds, flax seeds, pumpkin seeds, and sunflower kernel for a complete chain of amino acid.” The price for two pounds is $40.80. 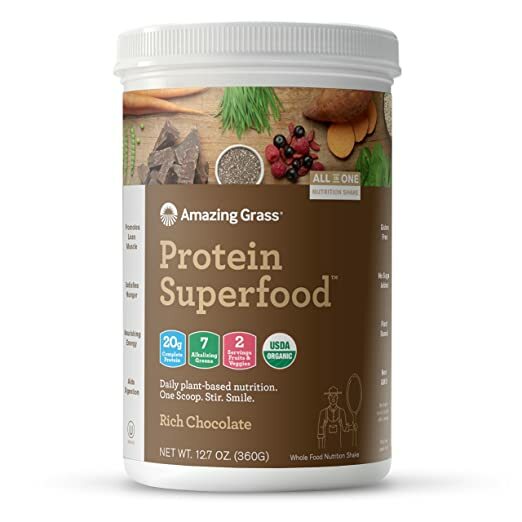 Each serving of Amazing Grass Organic Protein Superfood Powder has “20g of complete protein from organic pea protein, organic quinoa, organic hemp protein & chia.” The price for 10 servings is $20.99. 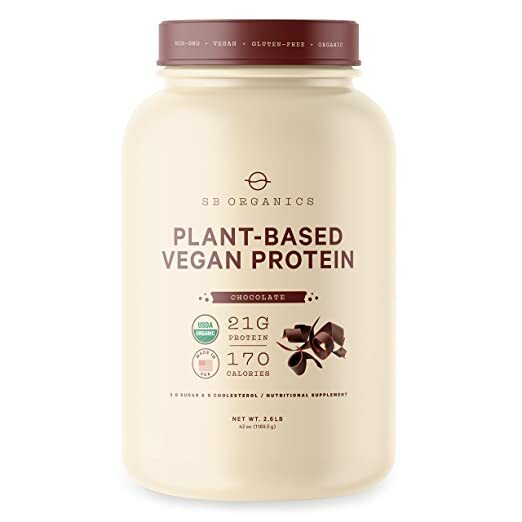 SB Organics Vegan Protein Powder has a “complete mix of probiotics, enzymes, and amino acids.” It is available in chocolate and vanilla bean. A tub of 30 servings costs $29.89. 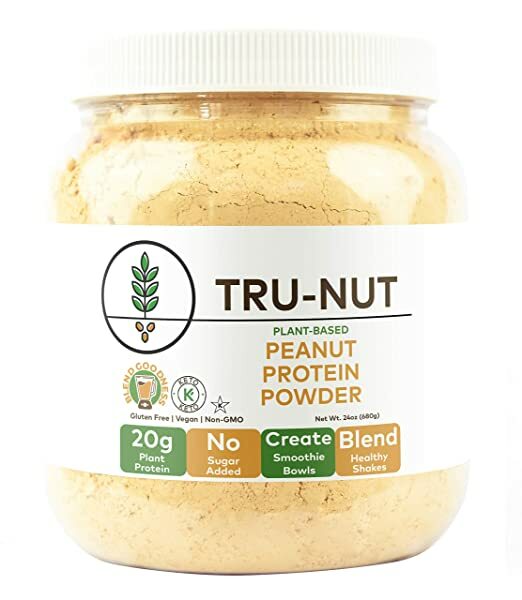 Tru-Nut Peanut Protein Powder uses “high oleic peanuts grown in the Southeast USA.” It is available in original and vanilla. The price for 19 servings is $13.99. 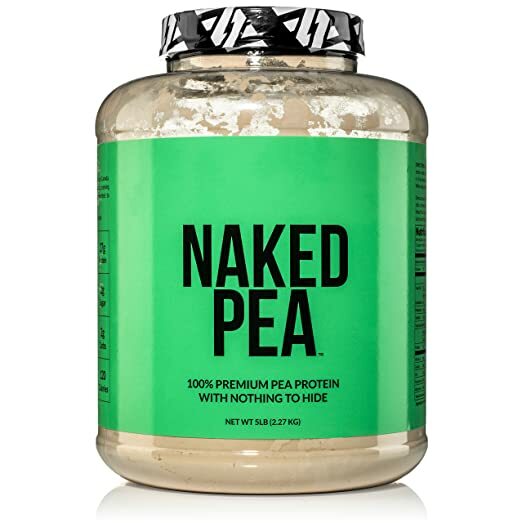 NAKED Nutrition Pea Protein Powder is “made solely from raw yellow peas grown on environmentally friendly farms in both the USA and Canada.” A five pound tub costs $54.99. 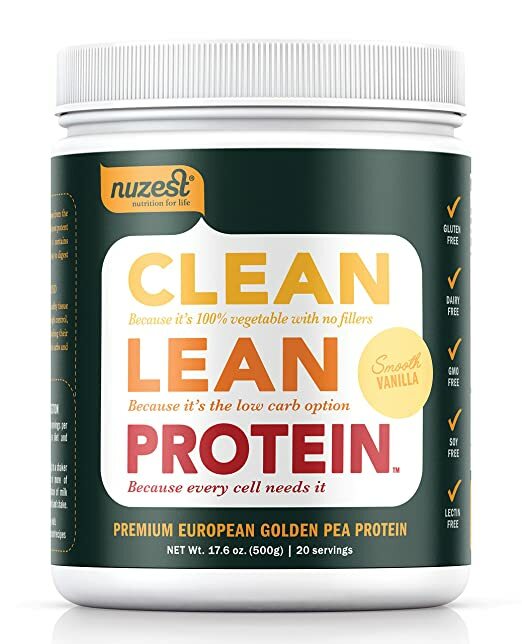 NuZest Clean Lean Protein is dairy free, soy free, GMO free, and gluten free and contains no added sugar. The price for 20 servings is $44.95. 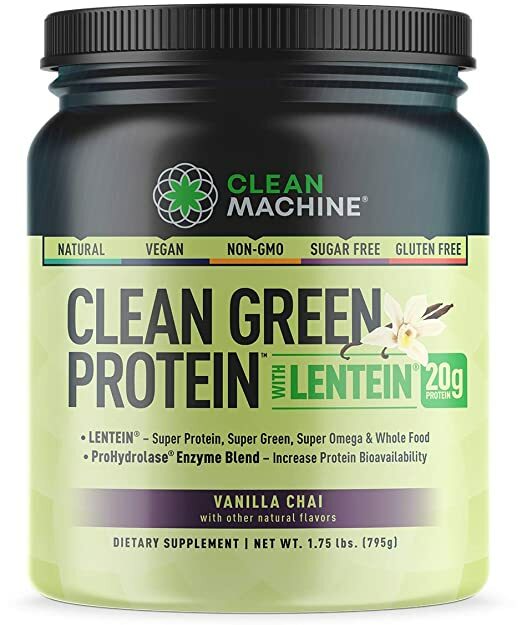 The protein in Clean Green Protein is lentein, which Clean Machine says “is minimally processed, and is one of the most sustainable food sources in the world. It is made from water lentils, which are produced in facilities where 98 percent of the required water gets recycled.” The price for 1.75 pounds is $54.99. This Protein Powder is not just vegan, but gluten free, dairy free, soy free, and “made from an organic and non-GMO healthy blend of Pea, Flax and Sacha Inchi proteins.” It’s available in chocolate, strawberry, vanilla, and costs $34.99. We hope our list helps you find the perfect plant-based protein powder for you!